Guy Smagghe, The Rev. Peter Ma and The Rev. 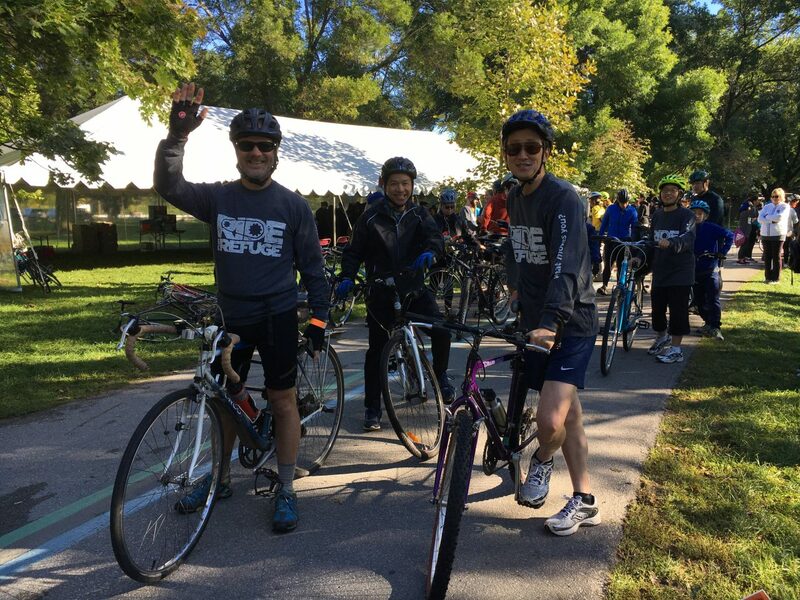 Daniel Cho at the start of the 25 km bike ride at the Ride for Refuge in Toronto.